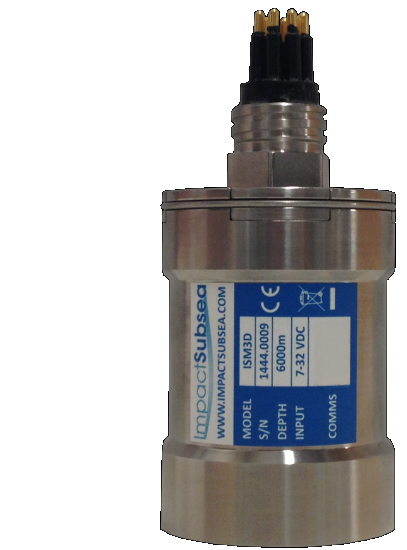 The ISM3D utilises high grade MEMS based Accelerometers, Angular Rate Gyroscopes and Magnetometers all of which feed into an advanced fusion engine driven by a dual core micro-processor. The unit provides Heading to ±0.5° of local Magnetic North with Pitch and Roll to ±0.07° accuracy. Provided in a Titanium housing, depth rated to 6,000 meters, with a length of 65mm – the ISM3D sets a new standard in size, durability and capability. Also available in a Delrin Housing depth rated to 1,000 meters or as an OEM system. Pitch & Roll to ±0.07° Accuracy. Provides Heading to ±0.5° of local Magnetic North with Pitch and Roll to ±0.07° accuracy. The high update rate (up to 250Hz) is highly applicable for use with auto heading and vehicle stabilisation systems. For optimal performance, a hard and soft iron calibration can be performed on the unit once installed on the ROV or AUV. This ensures that a consistently accurate heading is provided at all times. Heading to ±0.5° of local Magnetic North with Pitch and Roll to ±0.07° accuracy. Provides a clear understanding of equipment orientation and attitude. Ideal for underwater survey work. 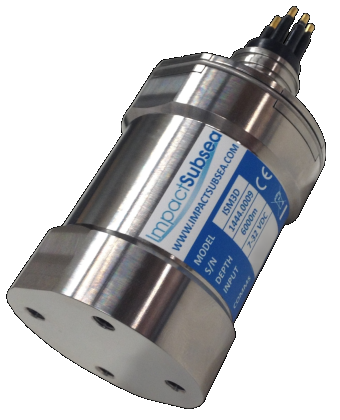 Ideal for monitoring the motion of any underwater vehicle or platform.